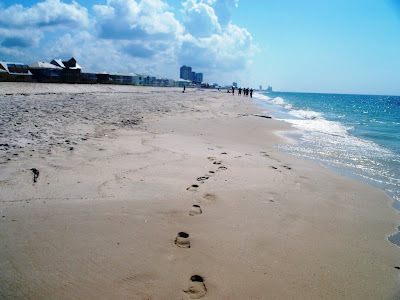 Gulf Shores, Alabama is just beautiful. 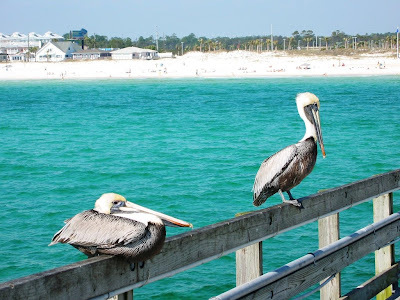 As a child, our family would vacation in Panama City or Laguna Beach on occasion. The sugar beaches and blue waters are mystical. 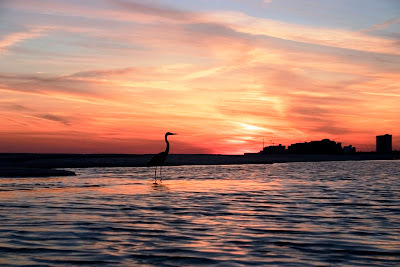 Enjoy some photos of Gulf Shores. What a lovely sunset! The egret was posing for his photograph. 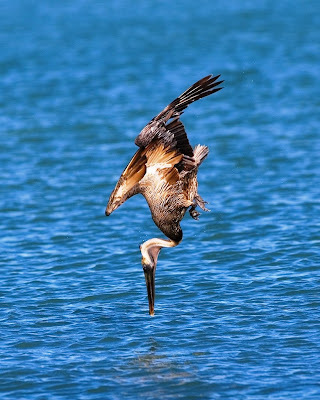 bomber divers to get their meals. Aren't they elegant in a big and awkward sort of way? Isn't the water lovely? 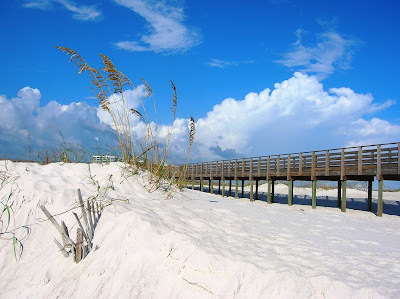 The pretty dunes, pier and sugar white sand. Footprints in the sand and the vista. 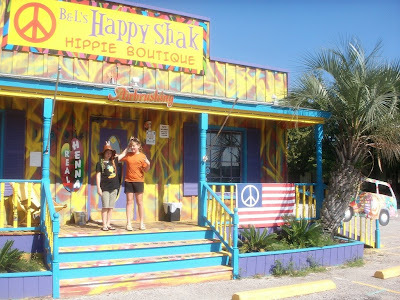 We've enjoyed the Happy Shack, a Hippie Boutique. We had to try it out. Hey, they promised Free Hugs. Who wouldn't like free hugs? I was tempted to get a henna tattoo, but thus far have resisted. 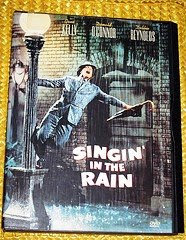 But mostly, we've been "singing in the rain." We've had a lot of rainy weather, but it hasn't dampened our spirits one bit.